"So happy to have met Superman!" 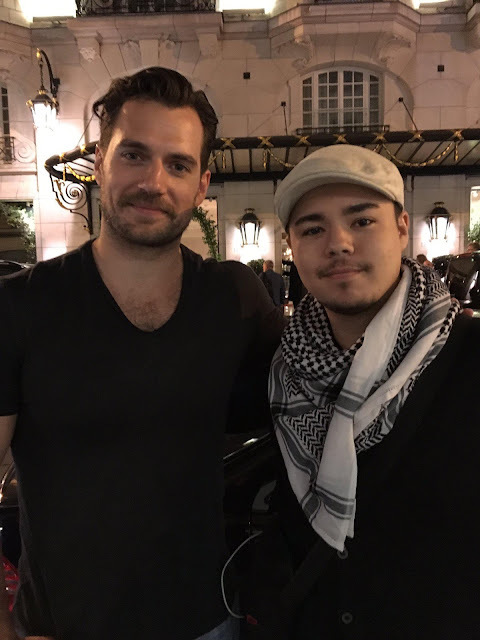 Tellement heureux d'avoir rencontré Superman ! 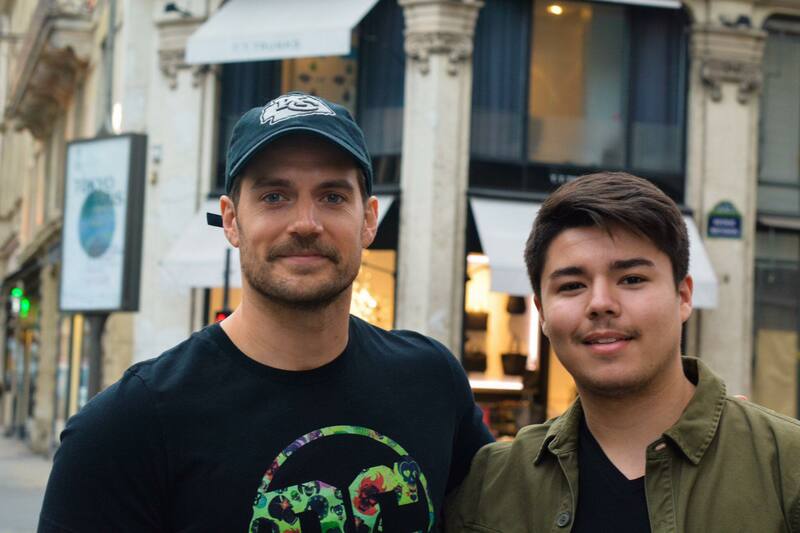 The very nice @cacahouete93 shared his excitement after meeting Henry in Paris. He allowed us to post his photos and video so please if you repost kindly give him credit. 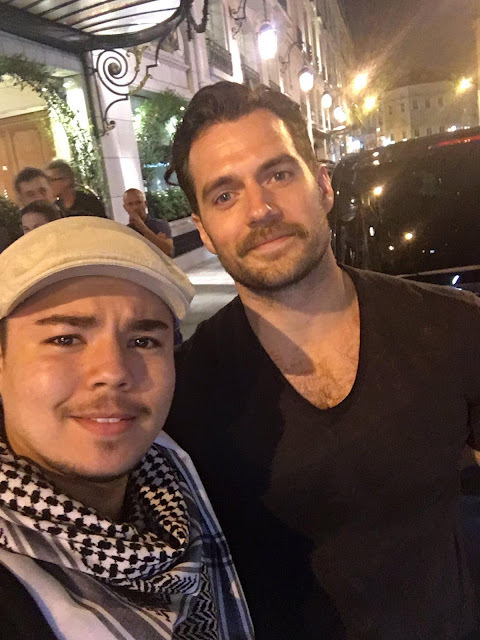 We're so glad people are getting a chance to say hi to Henry as he films Mission: Impossible 6 there, and thanks to him for always being the best with his fans. UPDATE (4/26): More fans have shared their cool pics with Henry. Thank you everyone! Henry! you do this fans heart good! thank you for always taking the time to meet and greet with your fans!! you are truly a class act and a legend!! I hope someday I'll get to meet you like those lucky Paris fans! Daniela, I love your unshaken positivity!! He's looking thin, this guy needs some serious Down time..I just hope he stays true to himself, he seems such a we rounded bloke, hope he doesn't go the same way as many other actors have gone. Remember who you are Henry that's what makes you do adorable. He looks fine! He can't be expected to look the same in every role; a role as his in MI.6 calls for him to be lean especially given the duty calls for multiple action scenes. Do you know hard it is to be quick & mobile when over a certain weight? Not easy at all! If Henry's going to be running, climbing, scaling all over he's going to need to be able to carry himself with ease, with full costume and all the additions that go along with it body packs, harnesses etc, it all adds on. It'll be extremely intense as is. Totally agree 1:07. Just because he isn't at Superman bulk, doesn't mean he's sick or needs a break. Before Nomis, he had serious down time. Same people who claim he's overworked are usually the same ones complaining that he isn't in enough films. I'm sure Henry himself knows where his limits lay, he takes time to recuperate as & when he needs. Lol, no matter where he goes or what role he takes (or how much he alters his appearance), he's permanently recognized as Superman! On way to Paris! Hopefully I'll be fortunate enough to run into the amazing Mr. Cavill. Oh my Lord, que suerte tienen estos guys. Yo creo que me desmayaria si veo Henry asi de cerca. Oh my Lord, how lucky they are these guys. I think I'd faint if I saw Henry that close. So happy to have met Superman! With Henry, one of the most adorable actors !!! Thank you Marie :) I'm sure Rebecca appreciates the translation help. See you at The Durrell Challenge! Bon travail Marie. Amusez-vous à Jersey. hah. Wow, that fan picture with julia, she looks like a young Madonna. Thanks for all the pic update HCN. Henry looks amazing as usual. Anonyme 27 avril 2017 à 11: 54 AM Ils ne dorment généralement pas dans leurs remorques (sauf les siestes ici et là), ils sont utilisés comme base pendant le temps réglé. Le lancement sera mis en place dans les hôtels / appartements. Anonymous April 27, 2017 at 11:46 PM They do not usually sleep in their trailers (except for naps here and there), they are used as a base during set time. The cast will be put up in hotels /apartments. Thanks for sharing the beautiful pics, y'all!! !